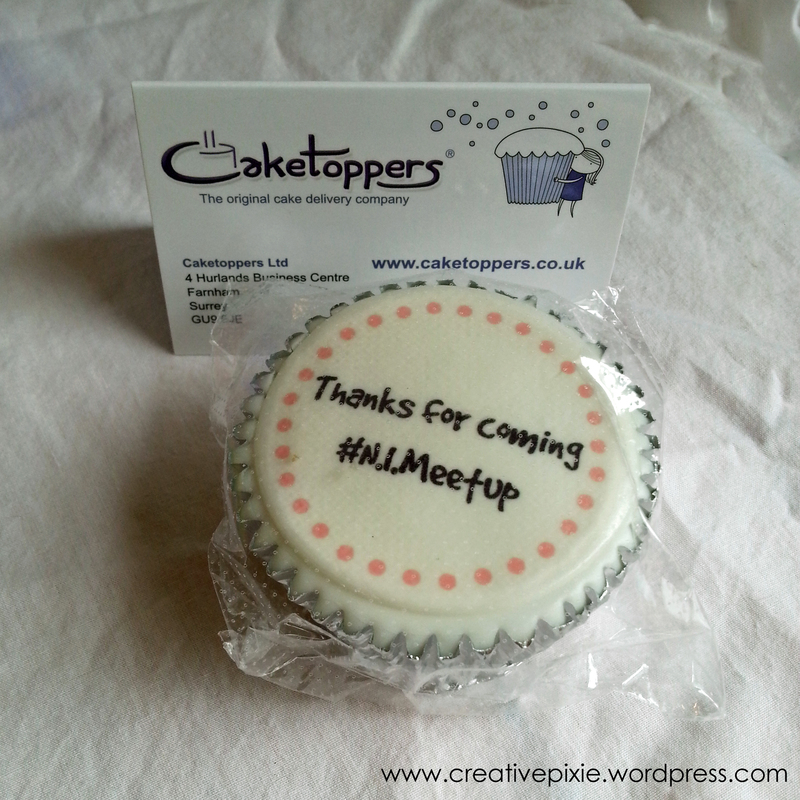 Yesterday I went along to my 1st blogger meet up (#NImeetup if you’re on Twitter). It was arranged by Vicki from Ellie Bear Babi who I had ‘met’ on Twitter a couple of months ago. I was so glad to meet another blogger from my part of the world and through her I started following some other NI blogger Mums on Twitter/online. 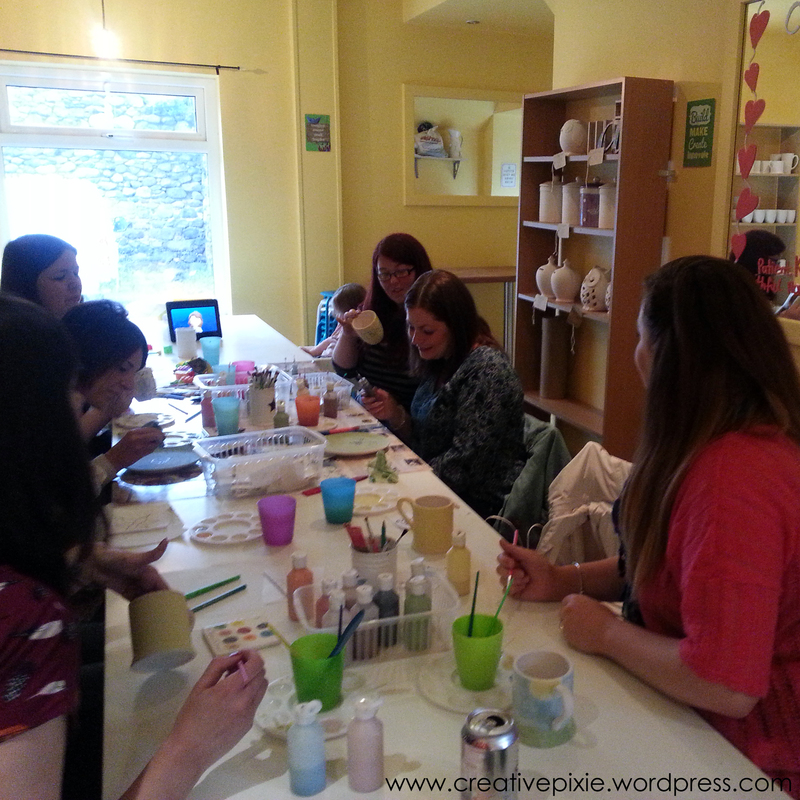 So anyway she arranged for 8 of us Mums to meet up yesterday at the Pottery Yarn in Moira to paint some mugs or plates, as we seemed like a crafty bunch online. I should add that all of us bar 2 had never met before so I was a bit nervous – especially since I’d offered to pick up Emma,a fellow blogger who lives not far from me – small world eh?! On walking in my fears were laid to rest when I saw how friendly everyone was. Do check out their blogs, they’re beautifully written and have some great photos. 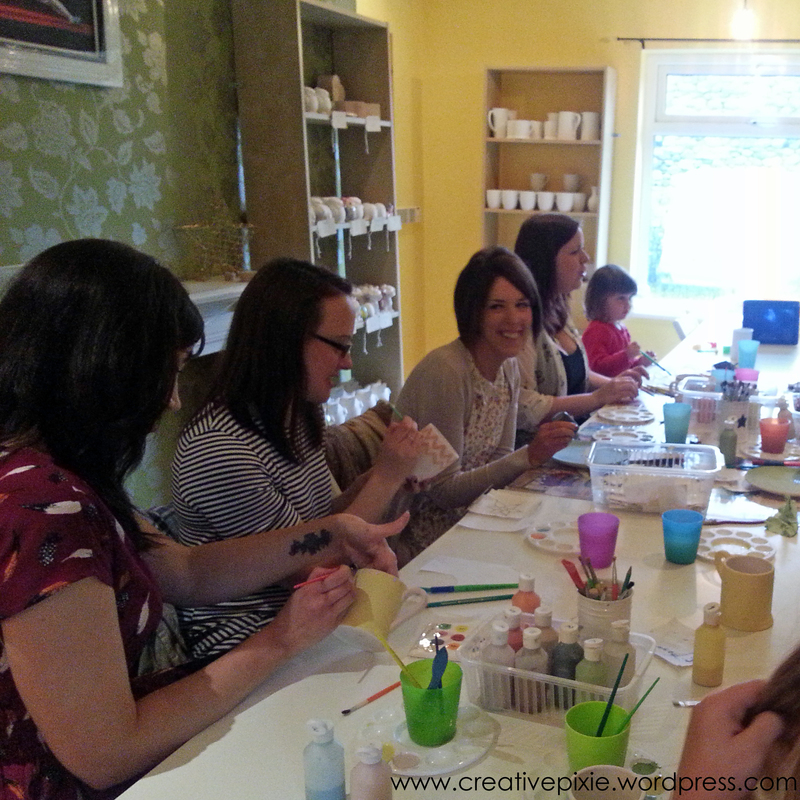 We sat around a table and once we had picked either a mug or a plate to paint we got to work on our designs. 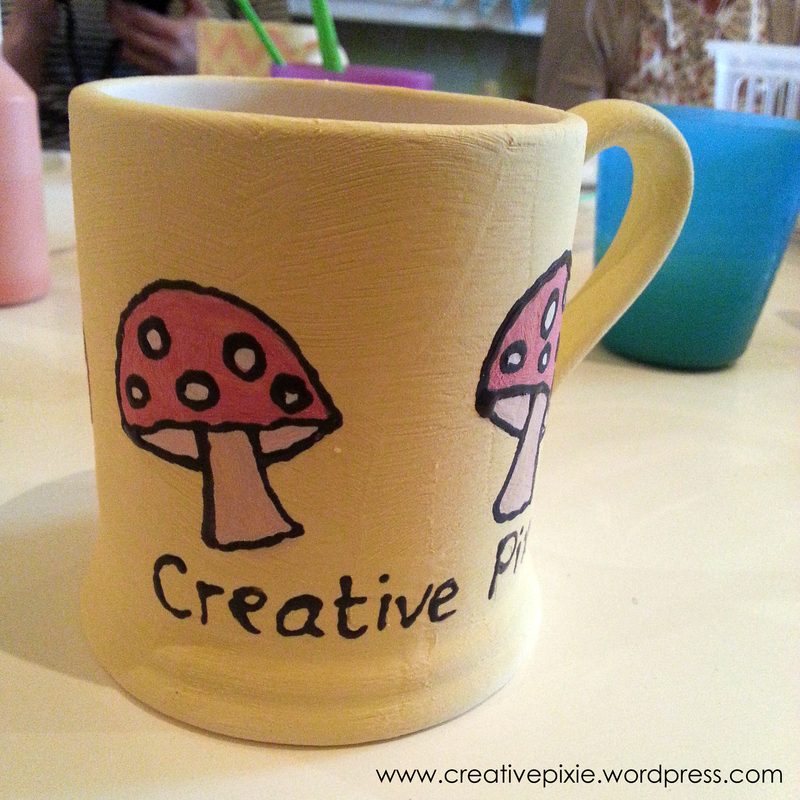 I decided to paint a mug with a little red mushroom design and put on it Creative Pixie – my own blogging mug! 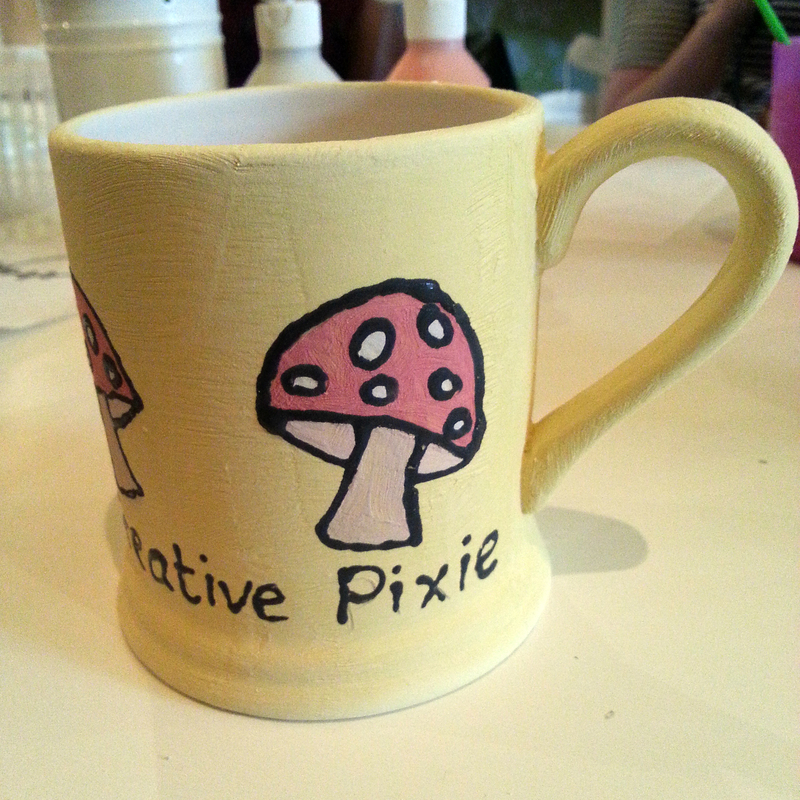 Apologies for the photos of the mug – it hasn’t been glazed yet so the colours are dull and matt. I’ll update when I pick it up sometime in the next week or two. After our 2 hour painting session was up we went along to a local cafe for some lunch. We spent so long chatting so that before we knew it, it was after 2pm and time to leave. I had such a great time meeting with these ladies and by the end of the meeting it was as if we’d been friends for years! Scent Cosmetics – handmade soap. 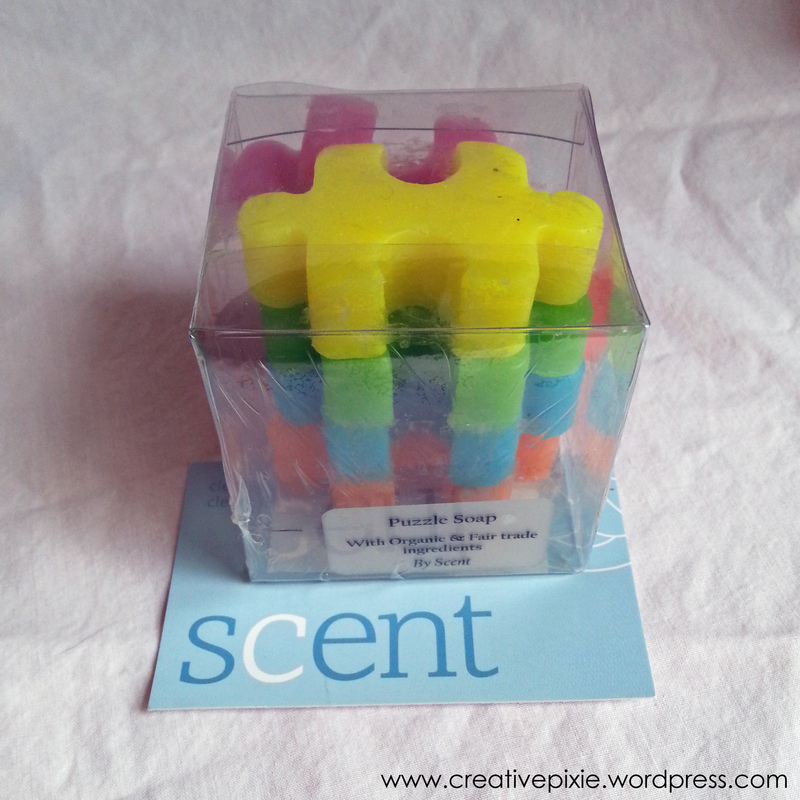 This locally made soap smells so fruity and is ideal for sensitive childrens hands. Miss E was very excited to use it. 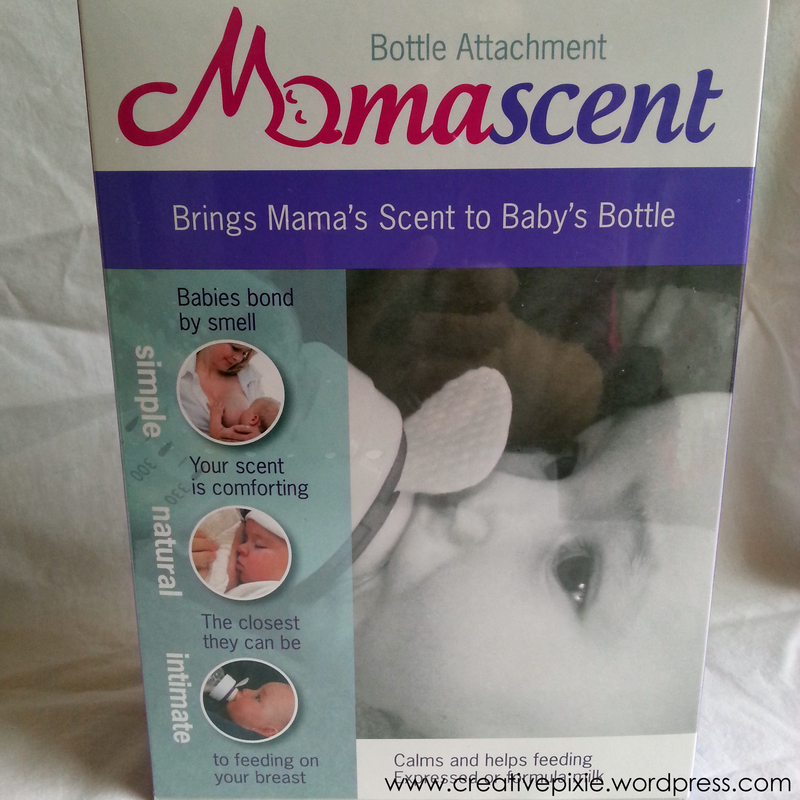 Mamascent – baby bottle attachment. I’ve no need for this but I’m going to pass it onto a friend. It’s a really good idea for a product. 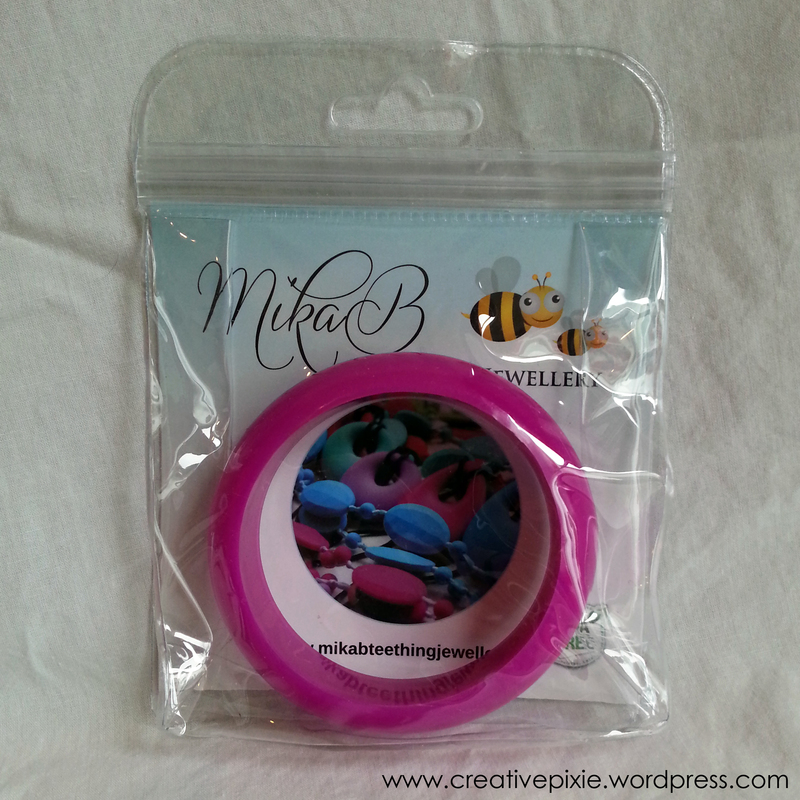 MikaB – teething jewellery + 15% discount for future purchases. Initially I thought about giving this to my sister who has a baby but then I tried it on. Oh my word the soft silicone bangle fitted over my hand thanks to it being able to squish over it (I don’t have big hands but for some reason bangles can go over my left hand and not my right?!) and bounce back to its original shape. Yep this is a keeper. 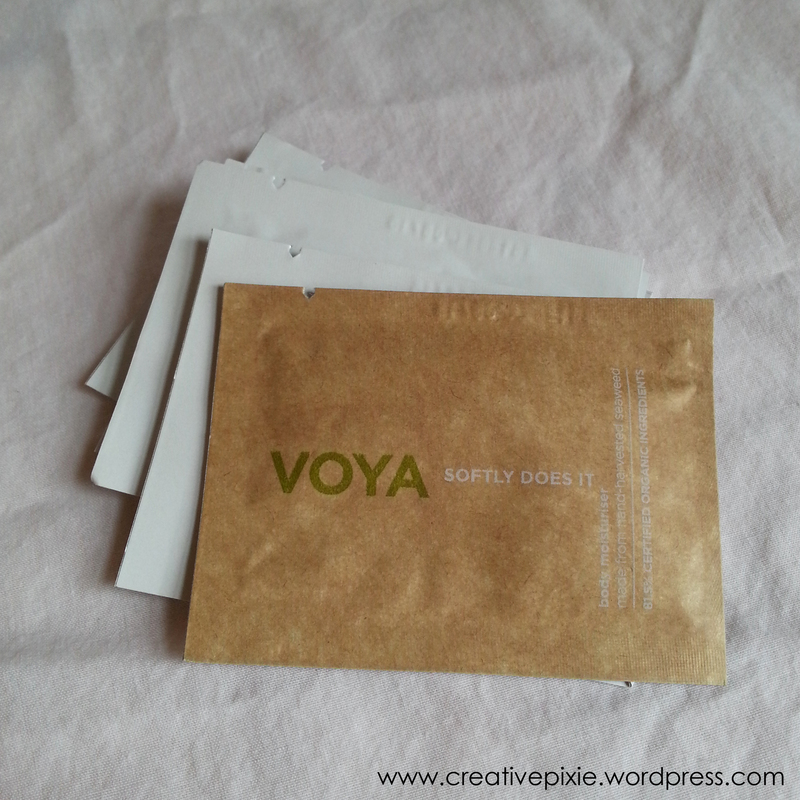 Voya – samples of seaweed beauty products. I’m looking forward to having a pampering session with these. 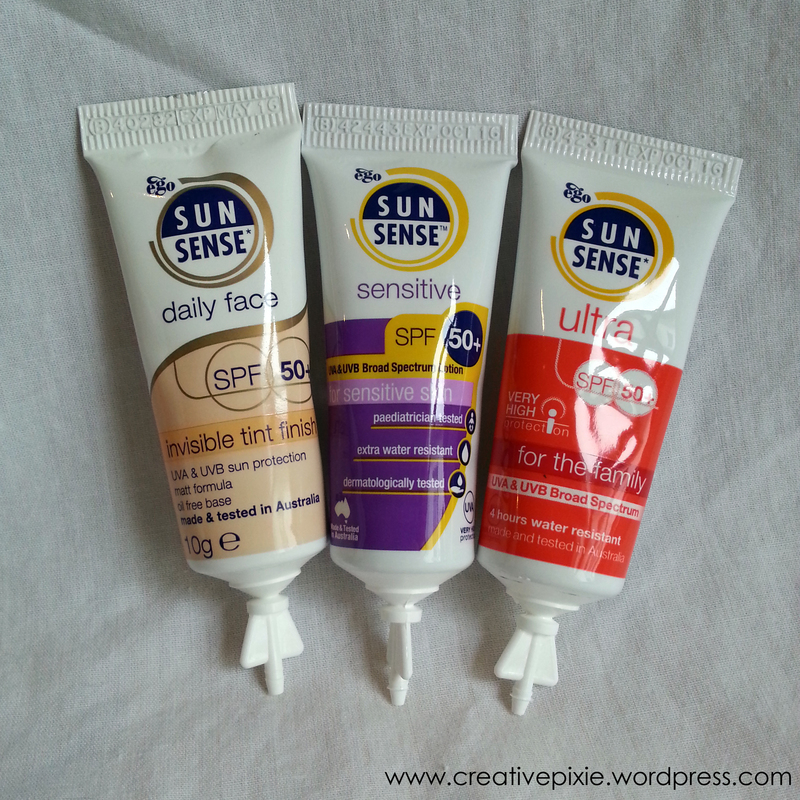 Sunsense UK – sunscreen samples. Whenever the sun comes out I always slap on the factor 50. Please let there be sun so I can try these out! 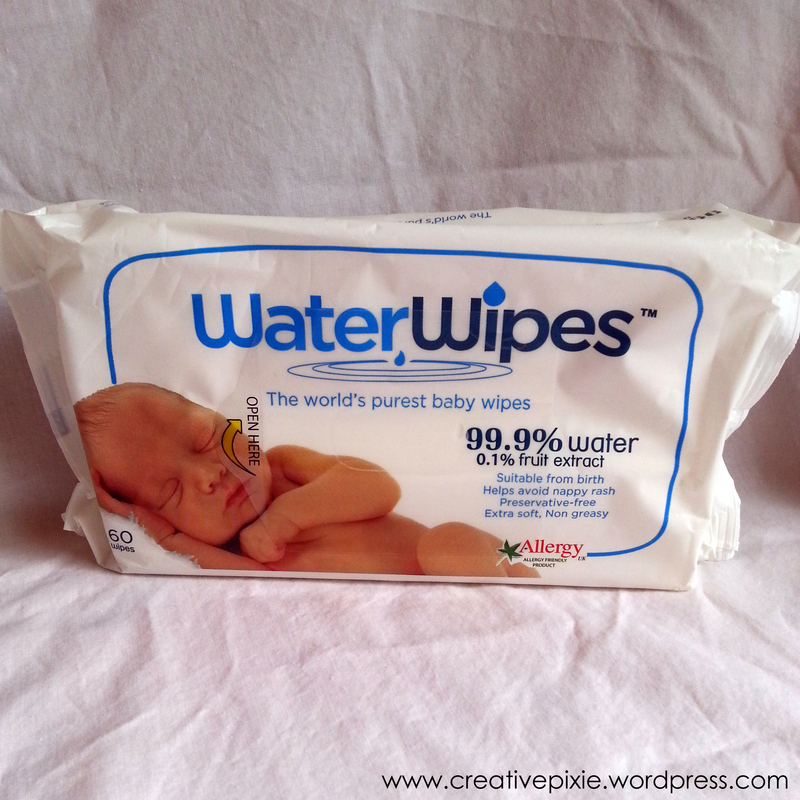 WaterWipes – the worlds purest baby wipes. Baby wipes are always good, especially with sticky fingered children. 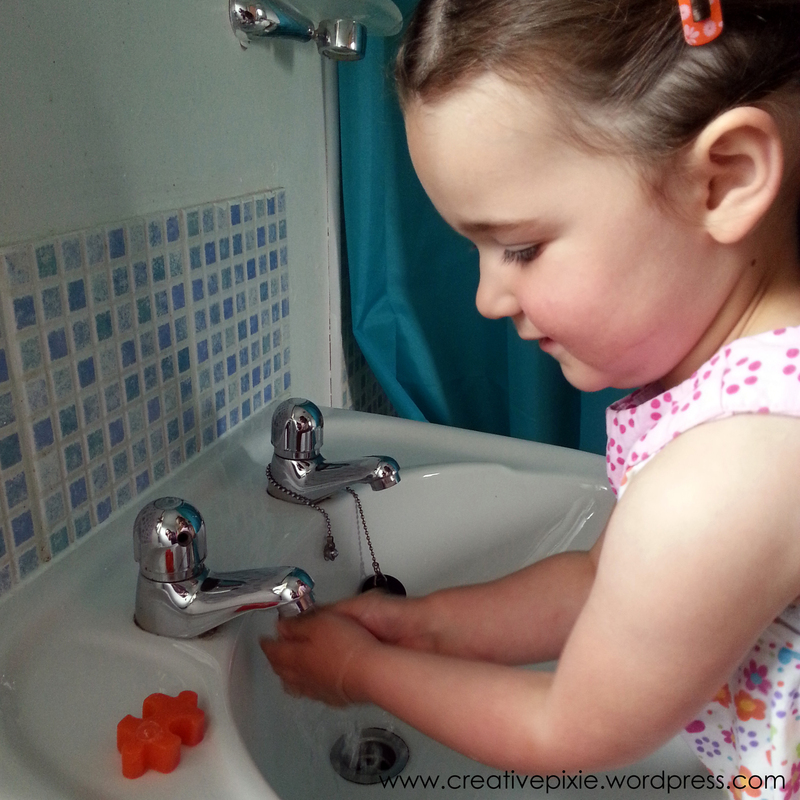 Miss E has sensitive skin so hopefully these will be just the job for her. 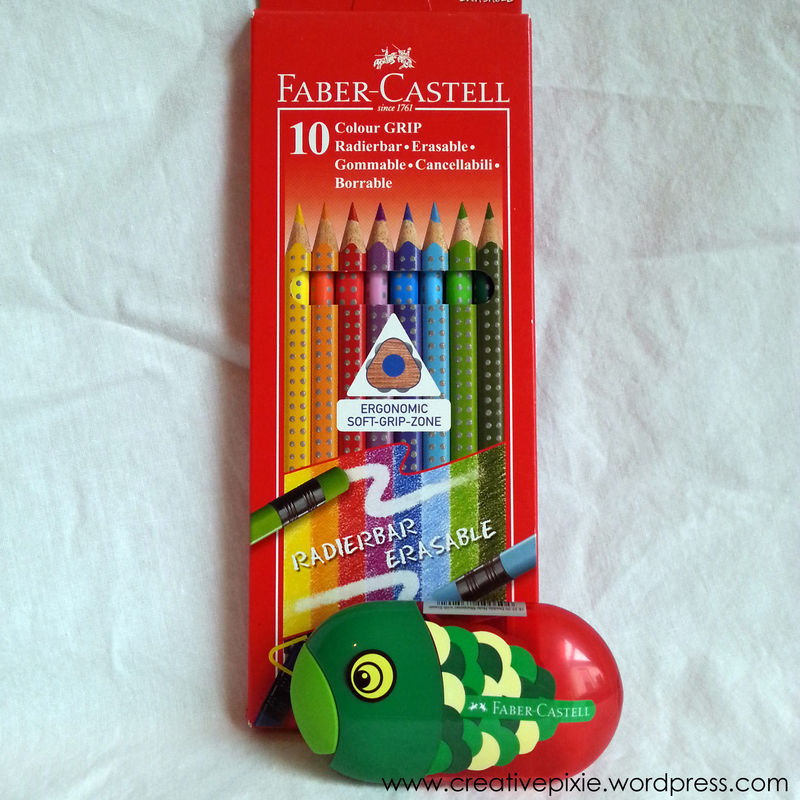 Snowies online art and crafts shop – Faber Castell colouring pencils and pencil sharpener. Miss P will be using these to make part of her teacher’s end of year gift. 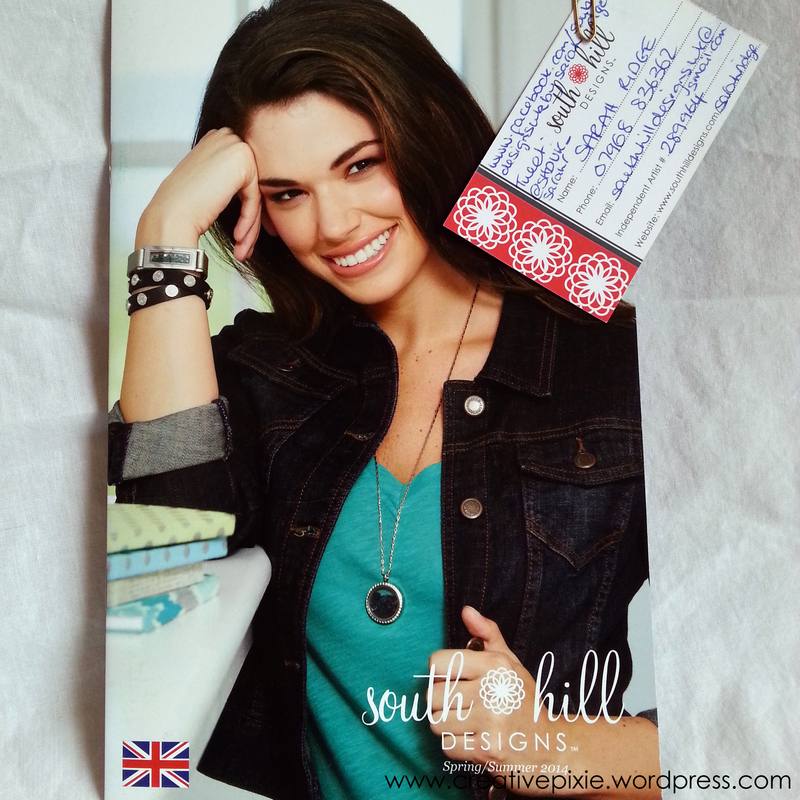 South Hill Designs – jewellery brochure. I love to flick through a brochure. 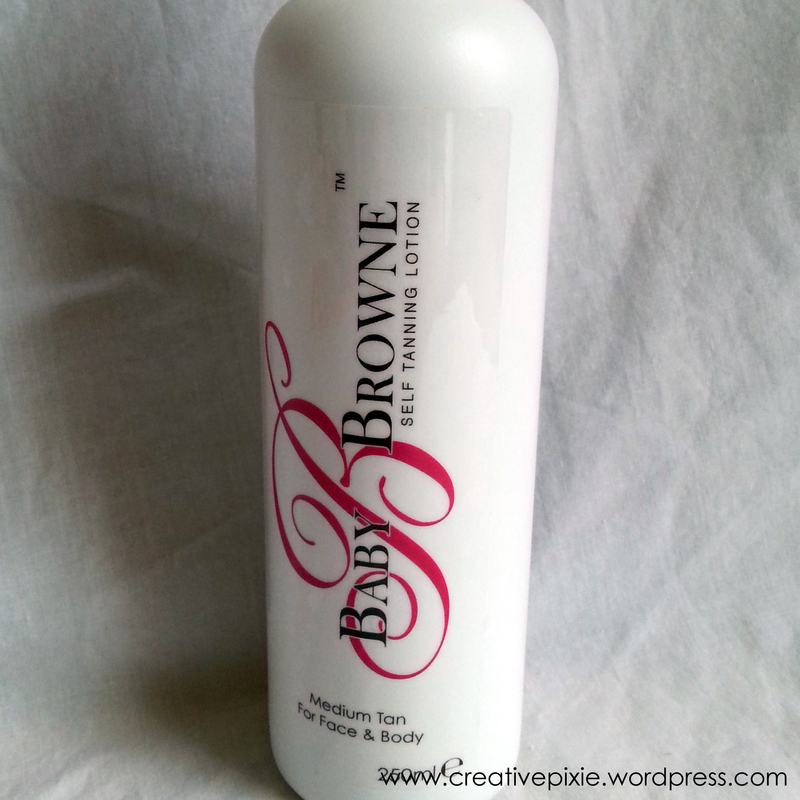 Baby B Browne – self tan. I’ll give this a try before my next night out. Cake Toppers – cupcakes. This cupcake was very tasty, the sponge and icing was so soft and fresh. So what do you think – a massive THANK YOU to those generous businesses that donated those goods and to Vicki for arranging the event. I’d recommend you get together with some fellow bloggers from where you live – it’s a wonderful experience and I’m sure that you’ll make some new friends. So pleased that you enjoyed the soaps! And delighted to see more NI people getting creative about getting ourselves out there!